You want the perfect lawn, right? That’s why it can be quite discouraging when you end up with some unsightly bald spots. 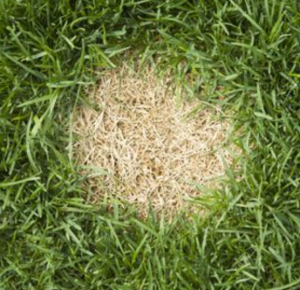 Before attempting to repair bald spots on your lawn, it is a good idea to eliminate other problems such as bugs, grubs, fungi, or other pests…otherwise you could find yourself going in circles. Ensure that the ground temp is warm enough for seeds to grow. Seed germinates best when soil temperatures are above 17°C (62°F). Cut around the dead turf with a sharp shovel or spade and remove it from the area – this will be about a couple of inches of thatch and grass. Fill in the area with fresh topsoil, so that it’s level with the rest of the yard. Rake the area to get rid of any clumps in the soil. Toss a thin layer of seeds on top of the soil, then cover it with straw to protect it from birds, and also to hold in moisture. Water the seeds early in the morning, and also again in the evening until they start to germinate. Just be sure that you do no over-water, as puddles can prevent the seeds from germinating. When the seeds start to sprout, you’ll want to water the lawn every day. Fertilize before the warmer summer temperatures hit. What about areas of lawn that have been damaged by pet urine? You’ll notice these areas because they will look like patches of straw. It is recommended to heavily water these spots to dilute the urine, and if you are fortunate enough to be able to keep your pet(s) off of your lawn, then you can go ahead and reseed. 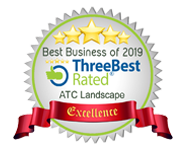 For your lawn care needs in Coquitlam and the surrounding areas, please give us a call at ATC Landscape: 604-720-2853. This entry was posted in Gardening, Landscaping Tips and tagged fix bald spots lawn, how to fix pet stains on grass, how to repair bald spots on lawn, lawn care, pet stains on grass, pet urine on lawn. Bookmark the permalink.